Burning fossil fuels produces carbon dioxide. Carbon dioxide emissions need to be limited. However, the potential carbon dioxide emissions contained in fossil fuel reserves are vast. 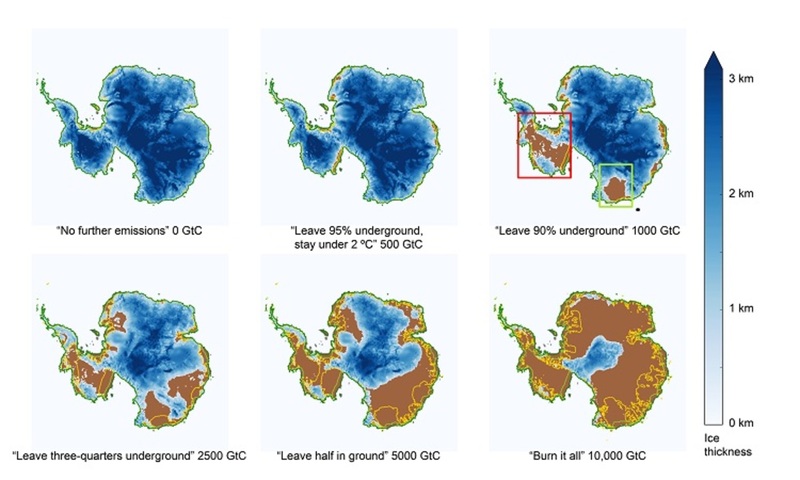 So it's not possible for all current fossil fuel reserves to be used, if the Earth's warming is to be kept below 2 °C. 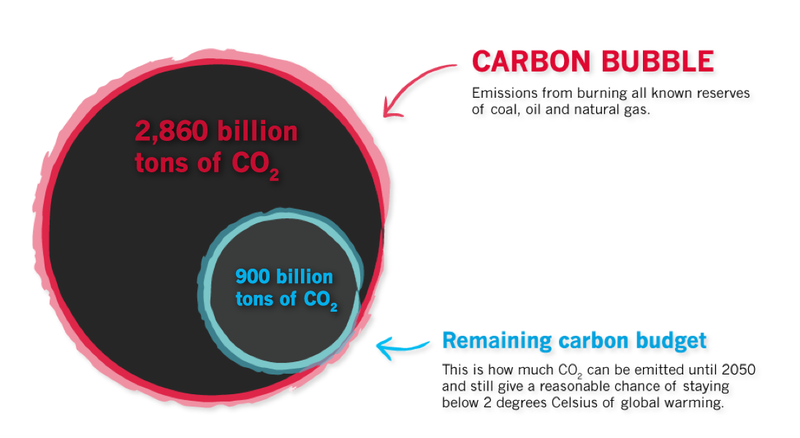 This huge excess quantity of fossil fuel is sometimes called the 'Carbon Bubble'. However, there are major objections even to the "two-degree limit". Many say the number is simply too high. Archbishop Desmond Tutu has pointed out that a two-degree global average rise might result in Africa’s temperature rising as much as 3.5 degrees—a potentially disastrous change. Various scientific research projects have looked at what would happen if all the fossil fuels were burned. The Antarctic Ice Sheet stores water equivalent to 58 metres in global sea-level rise. ... burning the currently attainable fossil fuel resources is sufficient to eliminate the ice sheet. ...........with an average contribution to sea-level rise exceeding 3 metres per century during the first millennium.